With the debut of the 2013 golf clubs, the golf equipment industry has fully embraced the adjustable golf club. Altering the original state of a golf club is nothing new. The concept of changing the club may seem new to new players and young professionals, but golfers and club repair professionals have been doing it since a clubhead was attached to a shaft to hit a golf ball centuries ago. The goal for the manufacturer may be to produce more sales, but adjustability is an age-old concept that definitely helps golfers of all abilities. Most golfers are afraid of the idea, which is really a shame. The problem lies in bad education of the golfer from not only the manufacturer, but also the golf professional. Sadly enough, too many golf professionals don’t spend the time to understand the basics of clubhead adjustments. Thus, they don’t explain or execute it well enough to their customers, clients, and students. To repeat the point, this is a great help to golfers of any ability. Tour players have been bending clubs and adding lead tape to clubs for decades. One of my more profound memories as a teenager was playing in a pro-am at a Senior Tour event, near to where I grew up. I was standing next to Bob Murphy’s golf bag, anxious to see what was in it, but afraid to be obvious about it. On the first tee, when his caddy pulled off the big knit headcover from the driver, I could see his clubs. To my surprise, there was lead tape all over his irons. You could tell his wedges had been ground to change the shape of the sole. Later, I noticed lead tape on his persimmon driver. From that day forward, I was fascinated by the physics of golf clubs. I have turned that crazy obsession into a 30-year career in the golf equipment business. The new part in the realm of adjustability is simply the convenience and ease to do it. For decades, changing the club head to influence ball flight was not an easy task. The first venture into changing the angle of the club, such making it flatter or more upright, or closing and opening the face, was attempted by Ping. In the mid 1990s, Ping introduced a changeable hosel on their woods. Cumbersome and not so visually appealing, the concept was dropped by the company after a couple of years. For many years on the PGA Tour, club repair technicians would bend wood heads for lie and face angle. When the hosels got too small to grab with a bar, they started building molds for the heads in order to bend them. Changing lie angle on a wood was a common practice. The most popular way was to drill the hosel larger, which allowed the technician to tilt the shaft during installation to change the lie angle. Wood heads have been manufactured with closed or open faces since the mid-1800s. As a matter of fact, the closed (hooked) face angle of many clubheads you might see in a old club display or museum is dramatic. The design of closed club heads has been so common since the 1970s that it is hard to find a square face golf club from that era. Of course, I already mentioned lead tape. Also, lead powder in the head or hosel is a decades-old technique. I have used this to great success for my customers for many, many years. The weight distribution of the head can have a great effect on the flight of the golf ball. So, what you see with adjustable clubs is not new. It’s just now we can do in seconds what used to take hours. Convenience and ease are the only new innovations. Unfortunately, some golfers think the idea is to adjust your club in the idle part of the round on the 8th tee. Not only is this not the intention, but it is also contrary to the rules of the game. The idea is simply to utilize the knowledge of the teacher and/or fitter to make the club adjustments to promote better ball flight and better shots, in order to make the game easier and more enjoyable. It is the golf professional’s duty to educate and help the golfer with these clubs. The loft adjustment is designed to give more flexibility in producing correct launch angle and backspin. These two factors control the distance of the shot, along with the ball speed. This is one of the reasons tour players are hitting the ball so far. They have their launch angle and backspin dialed in perfectly. The changeable weights are designed to influence head pivot at impact. A draw-biased club has more weight on the heel, and a fade-biased club head has more weight distributed to the toe. A flat lie will produce a fade bias, and an upright lie will produce more draw bias. A closed face angle produces more draw bias, and an open face produces more fade bias. These adjustments also have slight influences on other aspects of ball flight, but the above factors are the ABCs of club head adjustments. None of these concepts are complicated or hard to learn. We need to encourage our clients to not shy away from adjustable heads and explain the benefits of how the game can be easier with a golf club feature that is here to stay. Sometimes, the best ideas are old ones that have just been refined and improved. 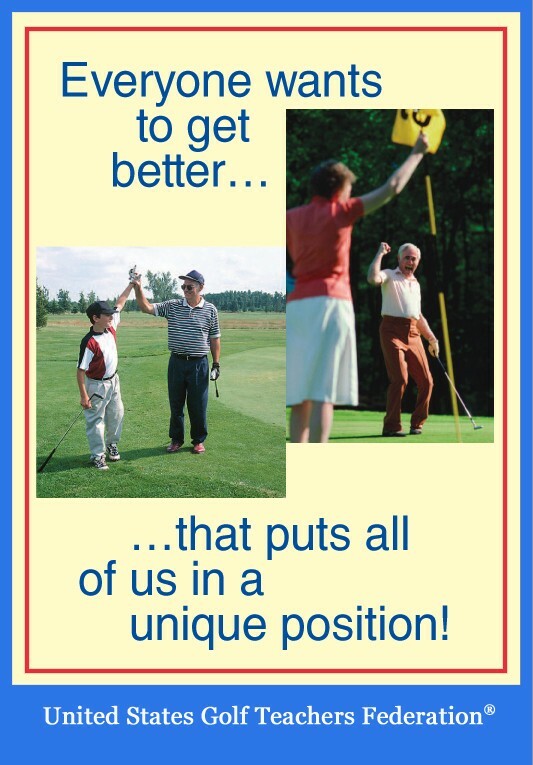 Reach Over 25,000 Golf Teaching Professionals! Editorial – Ten Dollars An Inch!